Gulliver’s Travels |Cleverly designed slots game by Amaya. The slots game Gulliver’s Travels is based on the well known literary classic of that name by the English author Johnathan Swift. It is the story of Gulliver’s journeys to imaginary lands called Brobdingnag and Laputa. This is a good game, with creative features and high quality graphics, created by the leading casino games developer, Amaya. This game has five reels and twenty pay lines. There are also a number of unusual features in Gulliver’s Travels, like the Mega Lines, and Flip out, as well as free spins. The background of the game is a town with all sorts of construction taking place. The high value symbols include Gulliver tied down with ropes by the Lilliputians, a tiny princess, a far away castle, a purple note book and a barrel of wine. The lower value symbols are the standard playing cards, from 10 through to the Ace, imaginatively portrayed in a style of wooden constructions with wheels. The Mega Lines symbol is the Wild in the game, and appears only on reels one and five. The Scatter symbol which activates the free spins round, is Gulliver pulling along the small ship. If the player does land on the Mega Lines symbol on reels one or five it will trigger a special and profitable feature. 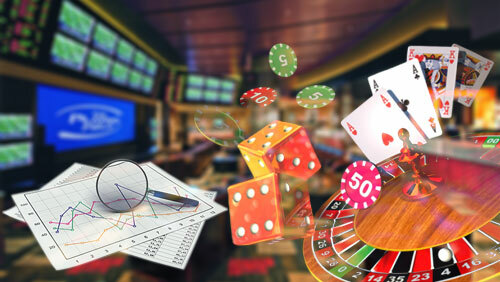 The appearance of the Mega Line symbol will freeze that reel, and the player will receive free spins until a winning combination has been landed. The number of pay lines also increases to forty. If the player finds the Mega Lines symbols appearing on reels one and five together, the number of pay lines will increase to a huge 243. The Flip Out feature in Gulliver’s Travels is another different bonus that the player can win. Each of the symbols on the winning combination the player may create will flip over, revealing three or more random symbols. In turn these may create another winning combination, and the Flip Out may be reactivated, until no more wins can be created. This feature is similar to the cascading reels features that one may find on some other slots games. Gulliver himself, appearing five times together on the reels, will allow the player a win of 10,000 coins. The Scatter symbol, Gulliver tied down by the little people, will appear only on reels one, three and five. If the player lands on that symbol on any of these reels, Gulliver’s Travels slots game offers the player an interesting bonus game that will be triggered. The player will be presented with another screen, one displaying a fleet of ships. The player can click on each of them until three ships are matched and sunk. This will determine the number of free games granted. There is also a multiplier that will be activated, from twice to three times. The maximum the player can win is twenty free games and a multiplier of three. The Mega Lines as well as the Flip Out features are both active during this bonus round, and it can be reactivated if the player lands on another three Scatter symbols. Gulliver’s Travels is one of the best in the collection of the premier developer Amaya. This is due to the combinations of good graphics and unique features. Moreover, this slots game can be accessed without downloading and installation of the software.